As you may know... my nose is not something I am totally in love with. And if you are like me...have no fear because... have I found the solution for you! Just clip a butterfly on your nose....and voila! Ok, well I'm not really sure what's supposed to happen..all I know is it comes with a cream called Beauty Nose- need I say more! 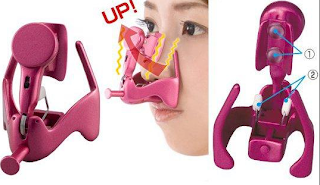 nose, I meant, now this thing looks like it needs a bit more explaining since it doesn't come with a cream called "beauty" or "nose" with it...I'm not sure what this is supposed to correct. all I can access it that something about the UP part might make your nose turn up more....I'm not sure. If anything, I hope this made you laugh, or at least smile on the inside. Or at least give you hope for your invention plans, that ones like these made it to market! 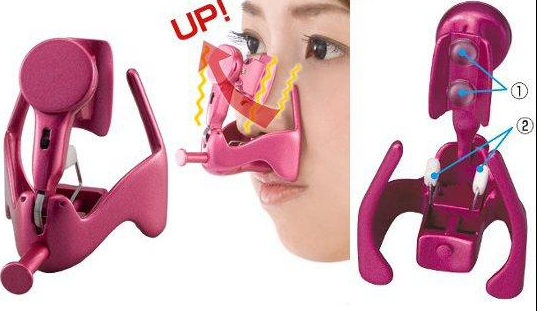 the one good thing about my nose is that I can breathe out of it and really that is it's main function anyway...but thanks Japanese inventors for coming up with these things to at least make me smile...because I have no idea where you'd buy one of these babies! Lol youre so silly. Im not jap.but i am asian. And we asian love a small... slender..high nose. And i think this little gadget is aiming at those points. Lol i dont know if it works or not but ill sure buy it if it does. Lol! I think your nose looks fine. We are always our own worse critic. I LOVE YOUR NOSE IT'S PERFECT!!!! Native Comfort: Are you ready to rock the Moc?!? MAC - Sneek Peek at the HOLIDAY COLLECTION! I'm gonna be on tv! Do you want Magnetic Nails? 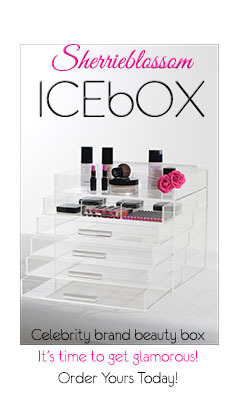 Big Big Beauty and Kandee News!!! First Costume Look of the Year! !